Barça CBS have won the Copa Catalunya after defeating (57-49) Cerdanyola-Vila Universitària in the grand final of the Final Four played at the Juan Carlos Navarro Pavilion. Mateo Rubio’s side finished the regular league in first place and they comfortably beat Mataró in the semi-finals (73-55). Now the next objective for the women’s team is to promotion phase for the Liga Femenina 2 which will take place next week with the finalists from the Balearic competition. The match against Cerdanyola-Vila Universitària was very even. The opposition started strongly with an 8-0 lead but Barça responded quickly and there was little to choose between the two in the first half. In the thid quarter, it was much the same but the final quarter saw the blaugranas open up an advantage with a 12-2 period that gave them a 57-49 victory. 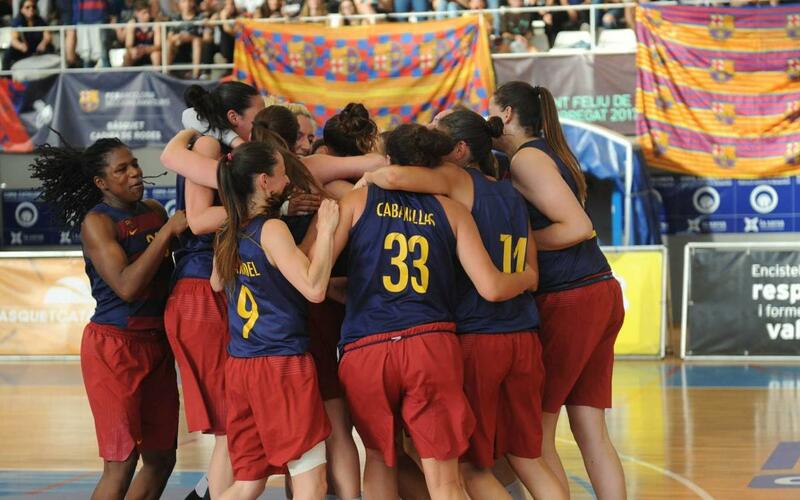 The next challenge Barça CBS face is the Final Four that will decide who gets to play in the Liga Femenina 2. The competition will take place on the 27 and 28 of May. The Juan Carlos Navarro Pavilion will host the two best teams from Mallorca, Cerdanyola and Barça CBS in the Final Four which will decide which team gets promoted to the second basketball division in Spain.